As a member of the public, you now have the permanent enjoyment of a one-acre site of conservation property at the easternmost tip of Lovango Cay that will be preserved forever as natural green space. More than an acre of undeveloped land on the easternmost tip of Lovango Cay has been donated to the St. John Land Conservancy. 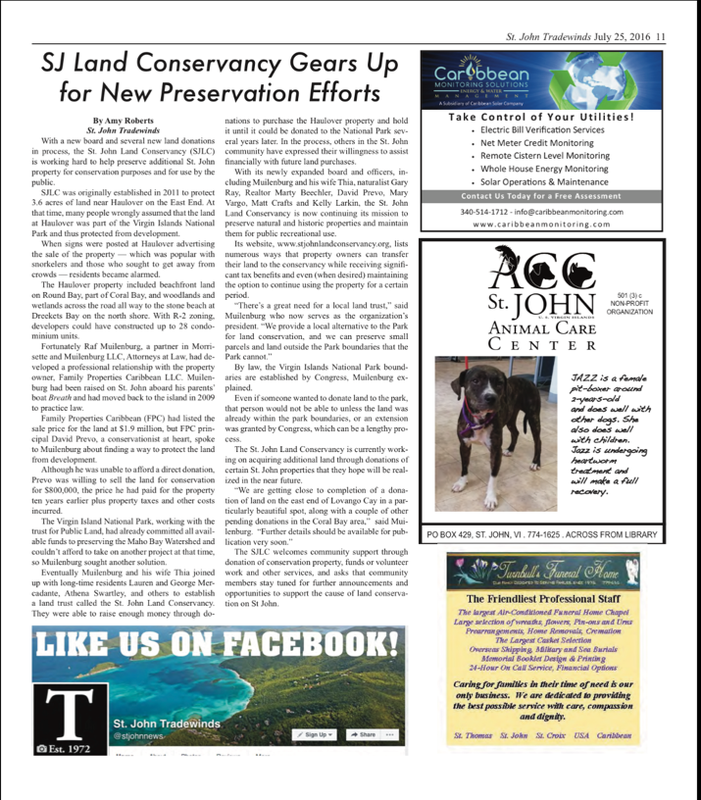 With a new board and several new land donations in process, the St. John Land Conservancy (SJLC) is working hard to preserve additional St. John property for conservation purposes and for use by the public. 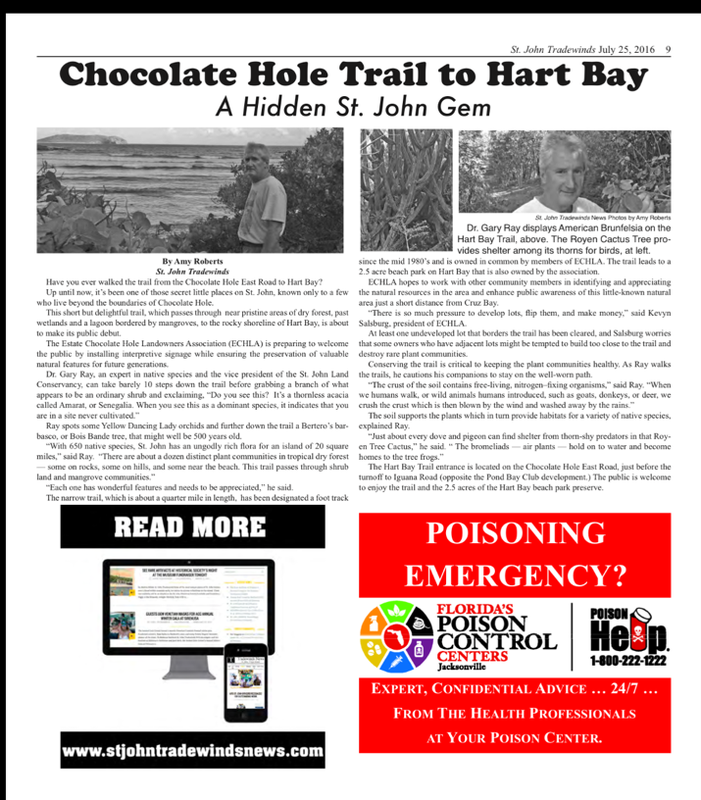 The short, but delightful trail, which passes through near pristine areas of dry forest, past wetlands and a lagoon bordered by mangroves, to the rocky shoreline of Hart Bay, is about to make its public debut. 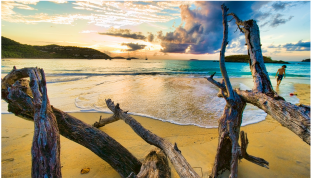 The Land Conservancy’s efforts will help preserve some of St. John for future generations so they also will be able to explore the island’s biodiversity. ​The sight of condos will never mar the landscape of Haulover Bay thanks to one woman’s desire to give back to the island which has been a part of her life for decades.